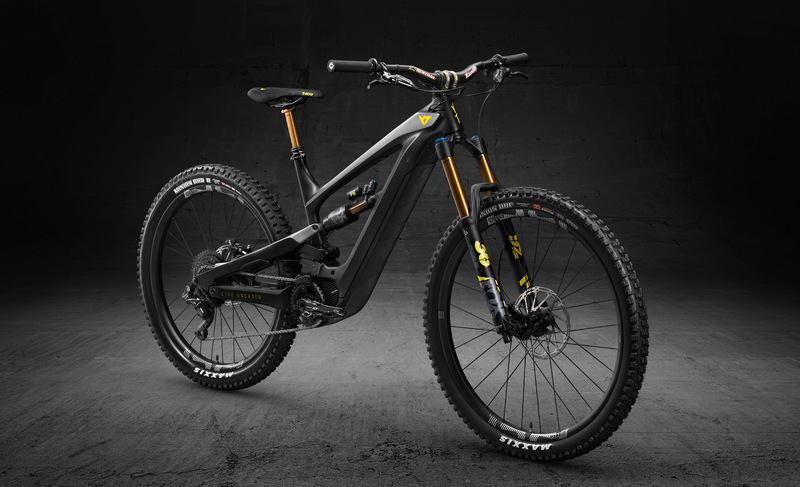 The all new YT Industries Decoy eBike is here and might well be the slickest looking eMTB we’ve seen to date. 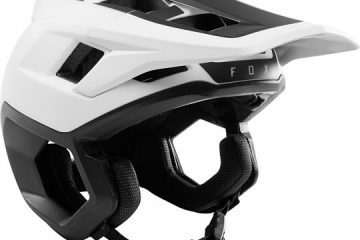 The brand new YT Decoy eMTB is, YT say, first and foremost for smashing downhills. 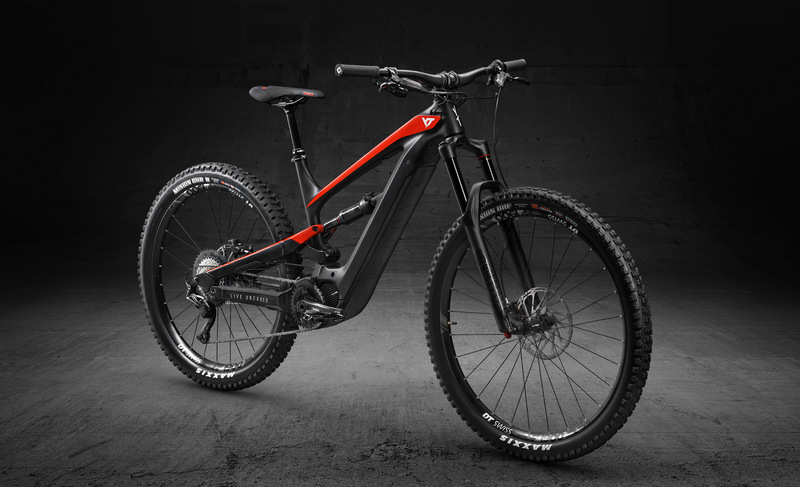 “An E-MTB from YT must first and foremost be able to prove itself worthy of its downhill genes“. 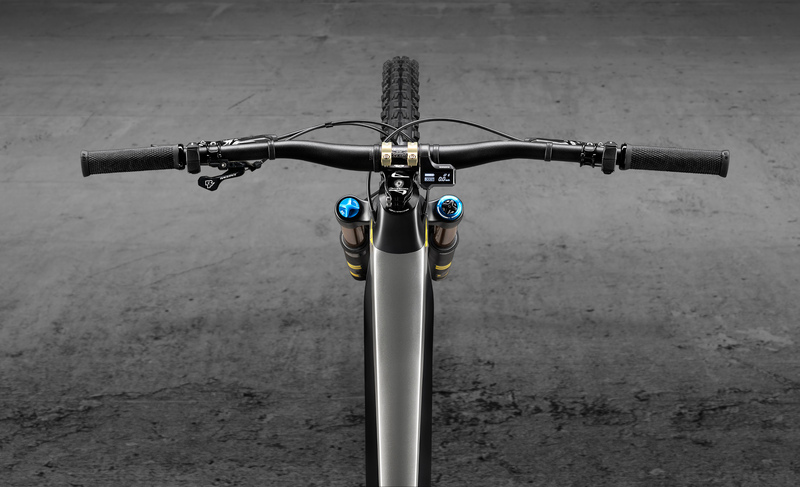 The bike is built around YT’s V4L (Virtual 4 Link) rear suspension linkage, 165mm of rear travel and 160mm up front. The Decoy is powered on by Shimano’s excellent steps system. 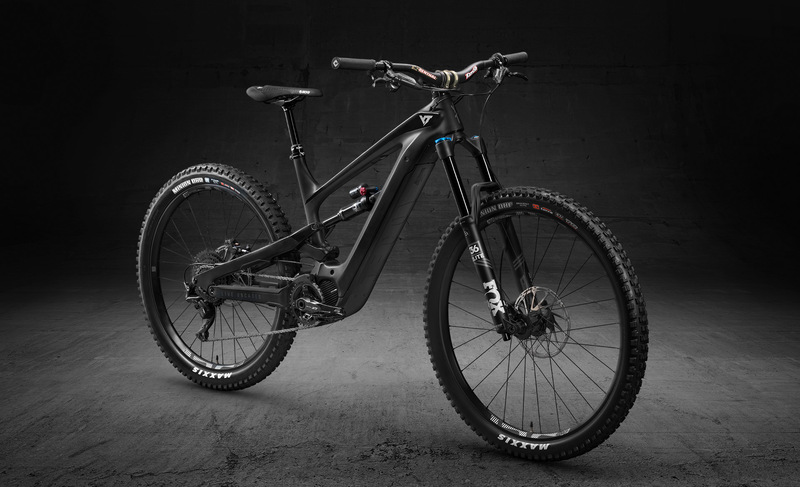 It’s a hard choice to pick a winner between Steps and Specialized’s Brose motor… but we’d happily ride Steps any day of the week. 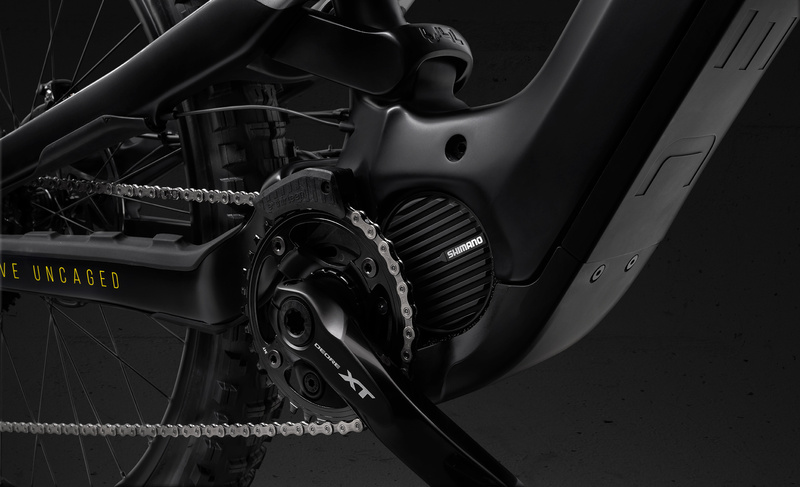 The Decoy comes with a 540wh Shimano battery and 250 watts Shimano STEPS E8000 motor. That’s controlled by the Steps E7000 bar-mounted display. 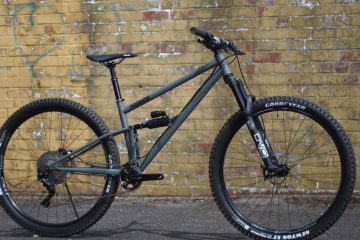 None of that is particularly new or exciting but, it’s a solid package that’ll see you flying round your local trails. 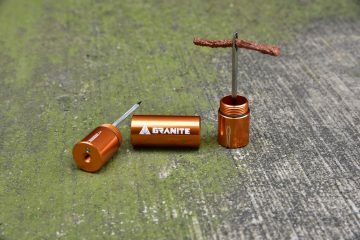 The battery is hidden away inside the downtube and is, YT say, “fully integrated in the downtube, held in place by two dedicated bolts and can be charged both on and off the bike”. 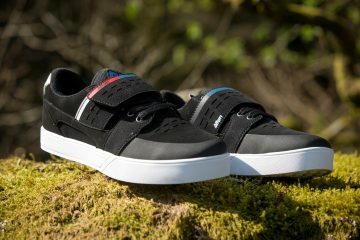 The Decoy, like the Canyon Spectrail eOn, mixes wheel sizes. 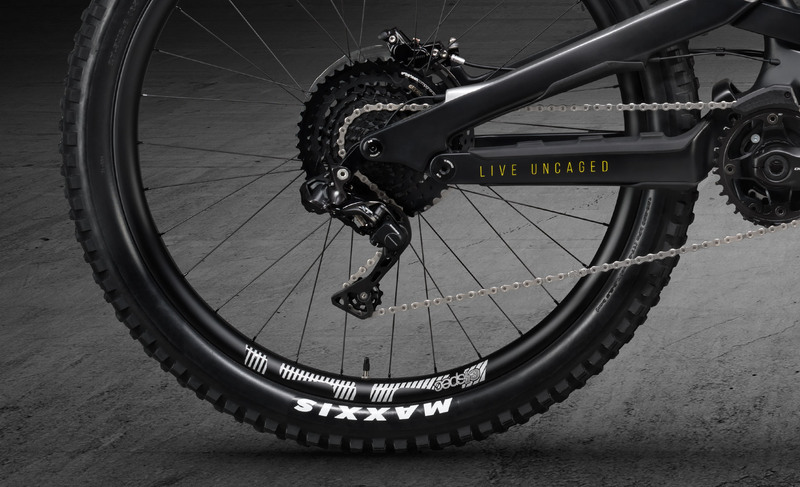 You’ll get a 27.5″ wheel on the back with a 2.8″ tyre. Up front, you’ll get a 29″ wheel with a 2.4″ tyre. We really liked that approach on the Canyon and found that a big wheel up front, with a narrower tyre made the bike feel much more stable through corners. The tractor tyre on the rear helps with bashing through rough terrain and gives stability on technical climbs. The Decoy’s geometry looks pretty spot on the from the numbers, though, we haven’t ridden one yet (Ready when you are YT!). It looks roomy without being crazy and with a comfortable seat angle. A 65° head angle looks perfect from our experience elsewhere. 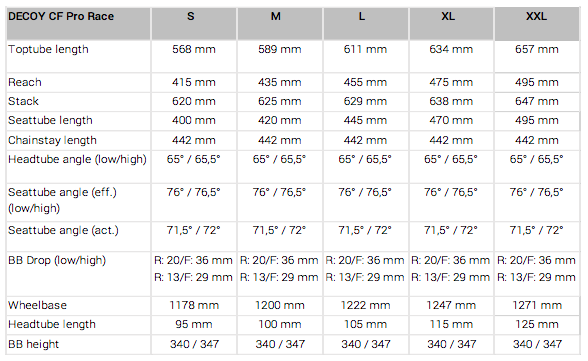 There’s a few options available to suit your riding style and budget. The YT Decoy CF Pro Race is the top-spec, fancy-pants version. This costs £5,999. The YT Decoy CF Pro is the middle spec bike that shares the full carbon frame of the CF Pro Race. This costs £4,999. 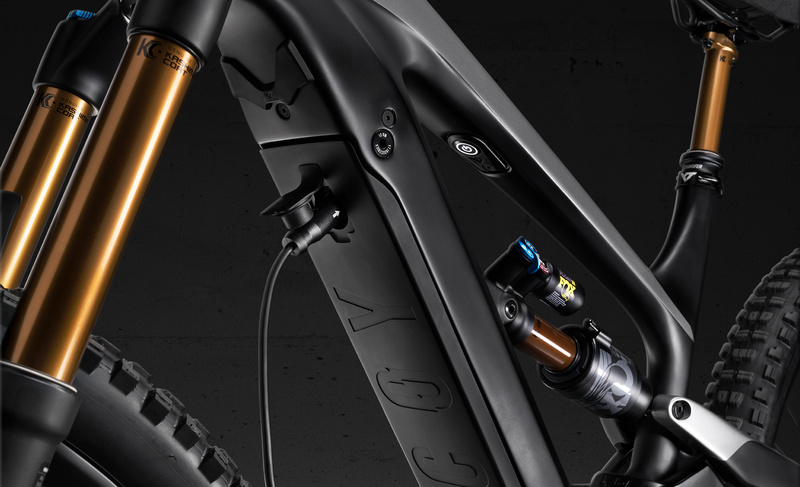 And finally, the YT Decoy CF Base offers a lower spec, lower price option with a carbon front triangle and alloy swing arm. We’ve got no problem at all with that. This costs £4,1999. If you’re looking to get on board a YT Decoy, they’ll no doubt be in high demand. 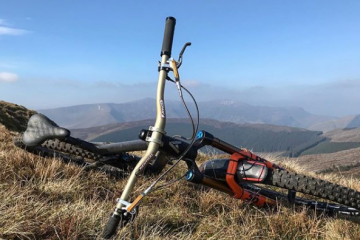 YT are taking pre-orders now with bikes expecting to land during May 2019. You can learn more about the YT Decoy at https://www.yt-industries.com.